I LIVE IN A HUT AND I REMEMBER. THE MEMORIES, ALL I HAVE NOW ARE MY MEMORIES. I was raised in karate-do. I will live my life for enshin and kime. The waterfall is near and the sounds of nature. The sounds I have missed all these years. The beach looks different too, much different than it did forty years ago. Ah, life truly goes in circles. I am back in the environment that gave me the courage to face the mainland at fourteen years old without a family or adult guidance. I DO REMEMBER THE EARLY MORNINGS OF KATA AND THE LOVE WE HAD FOR TRAINING, KUMITE, KUMITE, KUMITE, DAY AND NIGHT, NIGHT AND DAY. SOME DAYS NEVER ENDED. WE WERE ALWAYS BUILDING A STRONG KARATE SPIRIT AND A WILL NEVER TO QUIT FOR THE SPRIT OF BUSHSHIDO, OSS. 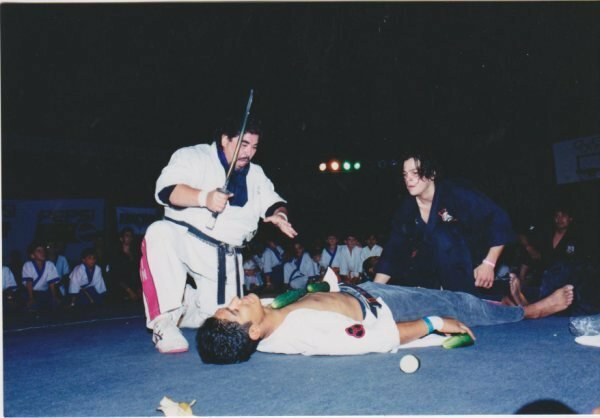 Now all I have are the memories of adventures on the mainland, my journey with sport karate-do and the adventures it laid before me from my travels around the world. I know I am only one warrior in this wonderful world of sport karate but the times, the tournaments, the politics, the friendships and the sport brought together a group of individuals that will stand out for all time and so as the archives are opened……. I am nine years old and I have lived with Sensei now for three years on big WAKIKI , It was beautiful, a paradise for tropical wonders and man. The jungle, the beach and Martial Arts all blended into sort of a dream for me. I had lost my parents when I was four years old and had to live with my uncle. He was a mean man and I didn’t like him. One night he hit me and beat me for not taking out the trash and I decided to run away. He was always screaming. I think he missed my dad. I really believe he was forced to take care of me. Well, of course I didn’t go far before I was found and punished. I was told not to leave my little hut where I lived. You might say I was grounded without privileges. Sand, ocean and jungle are not much for a six year old to do. Plus, I was extremely lonely and missed my parents. I remember sneaking out late at night, walking down to the huge ocean to sit at the edge of the water pretending to see the mainland and all the wonders I had read about in the magazines. We had no television, not even a radio, but even then I had dreams that one day I would leave this beach and start my journey. One night I couldn’t sleep, so I went down to the beach and what I saw would change my life forever. 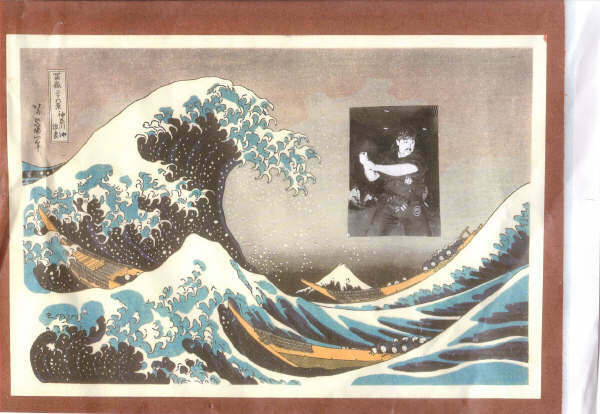 In the ocean, late at night, in the crashing waves of Waikiki, I saw my first real Karate. Groups of blackbelts were in the ocean doing Kata underneath the moonlight. I was overwhelmed and from that moment I knew what I wanted to be, a black belt. A real black belt. The next morning I ask my uncle about the late night karate class. He was mad that I even knew about it. None the less, I would go down to their work outs on the beach. I was only six years old and scared to death, but I knew this was my destiny. I started to go everyday after school to the tiny little hut they called a dojo. No carpet, no mirrors, no air conditioning just a tiny hut, thirty foot by thirty foot in size with sand all around. Soon, I was there every day and night. Then one day, Sensei Kishi told me I would be staying with him instead of my uncle. I really don’t know all of the details, but Sensei would be training me and sending me to school. I guess I was traded for something, I never found out. Even on my uncle’s death bed he would not tell me. Now I am training everyday and night studying Budo. The first real lesson you never forget and it stays with you forever. I had just finished my chores around the dojo and I wanted to go surfing with my friends. The wind had just picked up and the waves were breaking ten to fifteen feet off the north end of the shore. It was perfect! I never saw Sensei look at me like he did that day. It was like I had done something I had never done before and he was teaching me a lesson. Of course, I didn’t understand it at the time. I was mad because I could not go surfing and now I had to go pick up forty brooms in Honalulu which by the way was a ten mile walk. About half way down that sandy road to Honalulu I realized I didn’t know how I was going to carry the forty brooms back from town? Then it happened. The loudest thunder clap I have ever heard and then the rain came down. It was hard rain. I was so mad I was crying. Why would he make me walk in a storm and why was I going to town to pick up forty brooms? I was so concerned with my own being I had forgotten about the lesson. The lesson was never question, just do and do without a bad attitude. Most of all it was about respect. He knew the storm was coming and he knew I could have been killed in the waves. A couple of kids had drowned. He was just taking care of me like he had done for all these years. But still, what about the forty brooms? I finally got to the hardware store, soaking wet and scared because I didn’t know what to expect. Mr. Williams had received a phone call and was expecting me when I walked in the store. He had put duct tape around both ends of the handles of the brooms so I could drag them back to the dojo. Well it helped a little but not a lot. Sand, rain, hard rain, a wheel barrel and a kid pushing it for ten miles, well you can imagine. I was tired and mentally wasted. I cried a lot that day. I learned the lesson, never talk back and always respect your peers, but most important, never question or raise my voice to Sensei, for he is the teacher. Osu. I finally got back to the dojo and was met by Sensei at the door. He looked at me and I broke down and cried again. I said I was sorry for my attitude and it would never happen again. I believe that day changed my life. I can’t remember ever getting upset since that walk in the rain. Sensei Kishi and I bonded that stormy day like father and son. Oh, by the way, what happened to the forty brooms? That night Sensei Kishi demonstrated Kyoshi-Jujitsu. 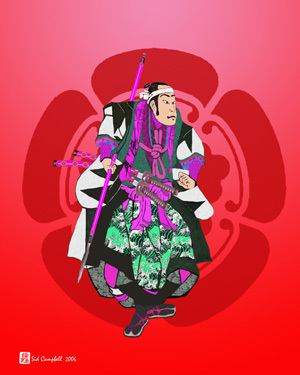 He gave the brooms one at a time to each blackbelt present. Then he instructed each blackbelt to attack him with an overhead or thrusting strike, broom handle forward. What I saw next I have never seen again in all my world travels. He broke the brooms in half. The punch from the arm symbolized the attacking blow. He was so precise that he would break it low symbolizing the wrist and then high which would be the elbow breaking. He stopped at thirty-nine and said, “Gary get the last broom and bring it to me now!” I was so scared and it was so silent you could hear a pin drop on the sand. Remember there were over thirty blackbelts there plus all the students. No one knew what my day had been like or the lesson that I had learned, but that was okay because I did learn. So, I took the last broom, got into attack position and waited for Sensei to kia for my attack. I waited and waited. It seemed like forever. He moved, I screamed and thrust the broom forward as hard as I could with my body and soul. He caught the handle, flipped it over, swept me to the floor and was sweeping my face and body in about three seconds from the time I had thrust the broom at him. Wow! He could have broken my arm and taken me out of the picture. He helped me up, hugged me and we both said osu. For the very first time I realized what osu meant. RESPECT, RESPECT, RESPECT! The front of the dojo area was sand! I took the broom and said, “Yes sir sensei.” I swept the front area everyday until I was fourteen and left for the mainland. 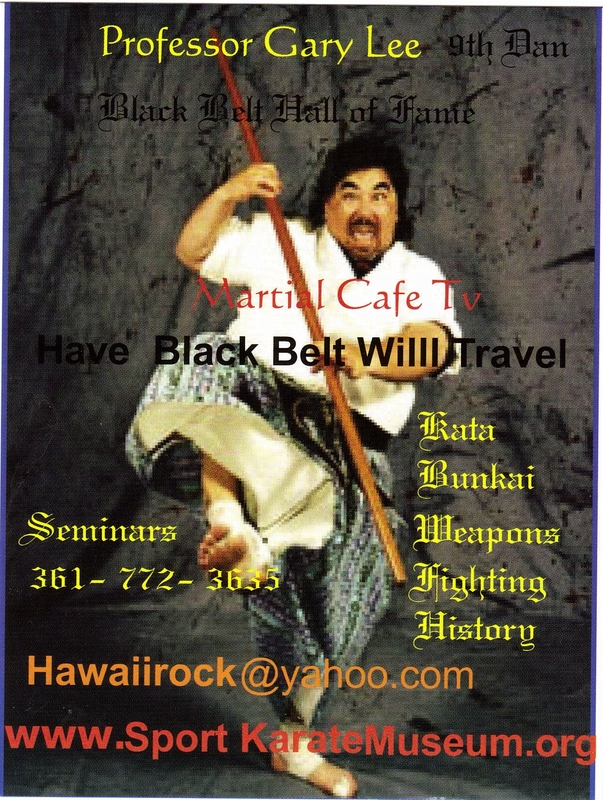 When I left Hawaii in 1969 I had my blackbelt, a white gi, a 1969 Black Belt Magazine Yearbook, a 5’8” cream Gorden and Smith Twin Fin surf board and that broken broom. Oss.